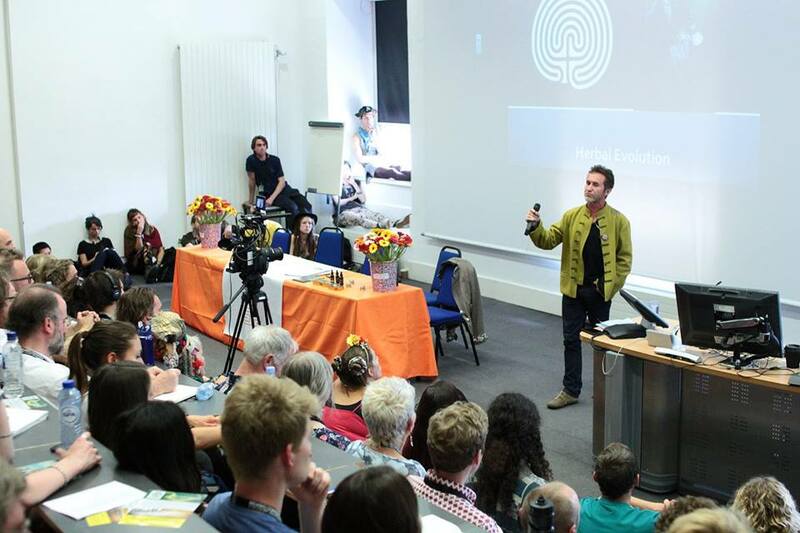 This summer, The Temple of the Way of Light and the Chaikuni Institute proudly partnered, once again, with Breaking Convention, a multidisciplinary conference on psychedelic consciousness, featuring more than 150 presenters from around the world, including our Research Coordinator Adam Andros Aronovich. 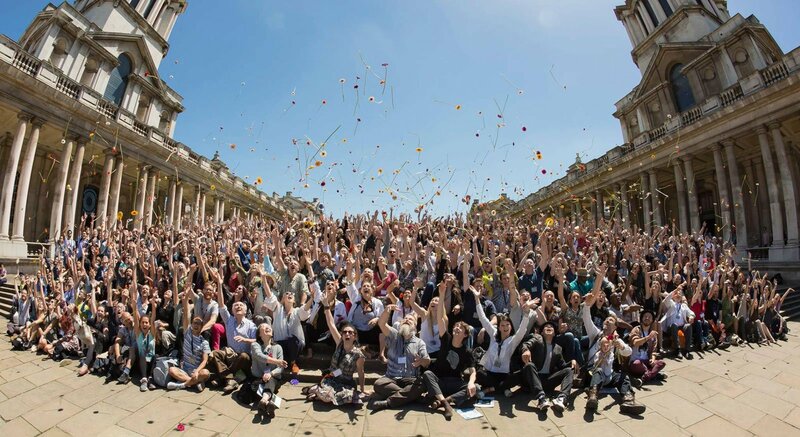 This amazing conference took place at the University of Greenwich, Old Royal Naval College, London, between June 30 - July 2, 2017. We would like to extend our gratitude and appreciation to the organizers of this event, as well as to the wonderful presenters and attendees that made this illuminating weekend possible, from the courageous people at the forefront of the healing arts, drug policy advocacy or rigorous quantitative and qualitative research, to the philosophers, historians, skilled storytellers and visionary artists that are all essential parts of this vibrant community. At the Temple of the Way of Light, we are committed to support and empower organizations and events that are devoted to facilitate the imminent emergence of a new sociopolitical and medical awareness where psychedelic and plant-based medicines can be properly integrated into our next-paradigm healthcare systems. We would also like to extend our warmest wishes and gratitude to everyone who approached us during the conference to have a chat, inquire about our work, ask questions, share experiences, stories and suggestions. We were happy to notice the level of engagement shown from our wider community, to feel, once again, that we are part of a global movement that is much greater than its individual parts. It is always deeply encouraging to witness the intensity and passion of all the beautiful and brilliant people that form the backbone of this second psychedelic revolution. Furthermore, we are thrilled by our community’s response to the fundraising effort we launched during the conference, in which a 13-day Ayahuasca Retreat was silently auctioned to the highest bidder. Considering that London is a long way away from the heart of the Amazon rainforest, we were very happy with the generosity of the offers we received. The winner has already been contacted by our bookings department, and we are looking forward to receive our special guest in our lovely jungle home. All proceeds from this auction are being gifted by the Temple to the Chaikuni Institute, as part of our ongoing commitment to support indigenous-led environmental movements and social and educational projects in the Peruvian amazon. As long-term residents and inhabitants of the region of Loreto (the Peruvian district where the Temple is located), we enact and promote the ancestral practice of reciprocity in action, and we regard the social and environmental projects that we support as being just as important as the individual healing work that we facilitate: they are two sides of the same coin. Indigenous wisdom teaches us that individual health is never independent from the health of our communities, our societies, and the rivers, forests and ecosystems that support them. The pursuit of good health, harmony and balance begins from within and expands outwards, in order to help create and maintain healthy environments for all of us. As a pioneering healing center, we reiterate our pledge to keep working towards the increasing recognition and validation of Ayahuasca as an immensely beneficial therapeutic practice, a commitment that inherently entails also the recognition of the importance that the preservation, conservation and empowerment of Amazonian people and the rainforest itself has on all of us. We are thus always happy to further the conversations about how plant medicines can be fully incorporated into our next-paradigm healthcare systems while maintaining the integrity of the cultures and traditions where they originate, the health of the communities where these medicines are still pillars of daily life and the balance and harmony of the ecosystems and environments that sustain them. Although it would be unfair to single out the best presentations, we do have to point out to some of our absolute favorite ones, such as Rupert Sheldrake’s “Psychedelic Experience And Morphic Resonance”, Dennis McKenna’s “Is DMT A Neurotransmitter For The Gaian Brain?”or Erik Davies’ “The weirdness of being”. Also, check out the presentation by Dr. Rosalind Watts, who has found a marked shift from disconnection (from self, others and world) to connection/connectedness amongst people being treated for depression with psilocybin. Her research resonates deeply with the work and research currently underway at the Temple. Many of the presentations from the conference are already online! You can watch most videos at Breaking Convention’s YouTube channel, and more are yet to come.